In Jeff Bezos' mind, Amazon is no monogamist. The business has three "life partners," and is looking for a fourth, he said in his latest letter to shareholders. Because when you find a "dreamy business... don't just swipe right, get married," Bezos wrote. These businesses were, apparently, much more than causal acquaintances Amazon met after swiping through a few pictures on Tinder. The three partners in his metaphor are Amazon's Prime subscription service, its cloud business known as AWS, and its Marketplace, where third-parties sell their own products. They all have key characteristics in common: "Customers love it, it can grow to very large size, it has strong returns on capital, and it's durable in time -- with the potential to endure for decades," Bezos wrote. Some worried that these big bets wouldn't payoff. The Amazon chief is notorious for spending a lot and losing money. But his letter indicates that the CEO has no regrets. "It's become pretty clear how special they are and how lucky we are to have them," he wrote. Marketplace has grown to account for more than 40% of products sold on Amazon, up from 5% in its rocky first year. 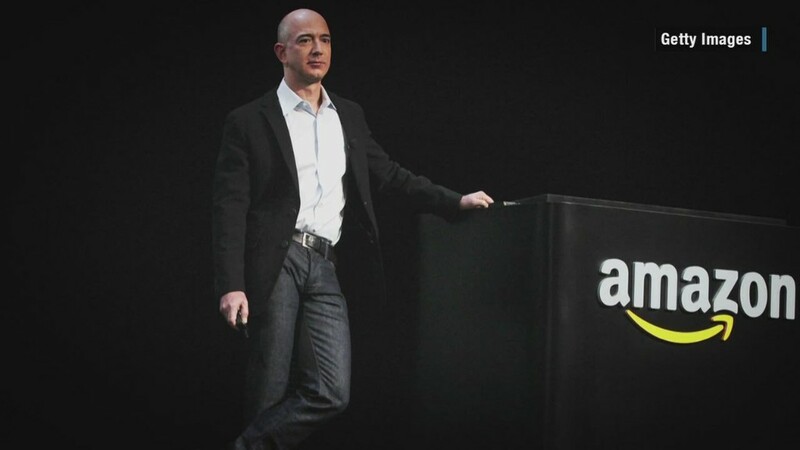 And the cloud business, a "radical" idea when it launched nine years ago, is now huge, Bezos said. It's on pace to bring in $5 billion in revenue this year. Prime, which started 10 years ago as a subscription service offering free shipping, now includes a streaming service with tens of thousands of movies and TV episodes, including Amazon's original, award-winning show Transparent. Bezos didn't say whether his investment in the streaming service was paying off and driving new subscriptions yet, but said he likes what he sees so far. "I'm pretty sure we're the first company to have figured out how to make winning a Golden Globe pay off in increased sales of power tools and baby wipes," Bezos wrote. Expect him to gamble on more bets in the future. He's already looking for a fourth big idea.